Look forward and see behind! Established in Australia, RearViz is a patent pending innovative rear vision bike mirror, designed for the commuter, the athlete and the weekend adventurer. RearViz specialise in unique, versatile sporting and recreational equipment designed so you can look forward and see behind. 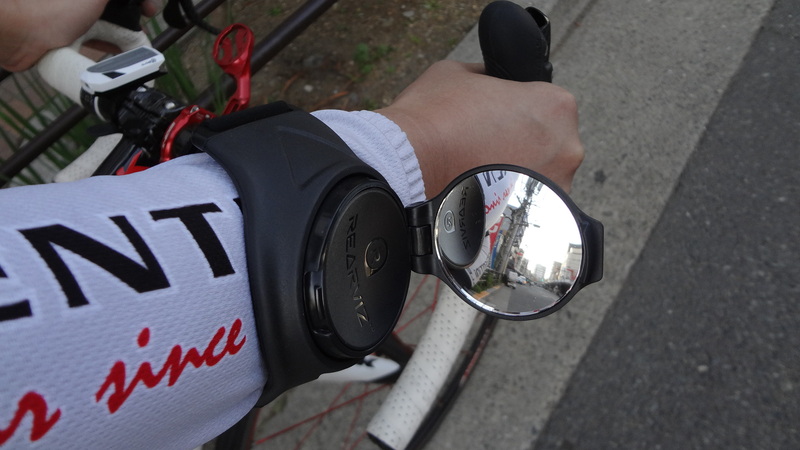 The company’s signature RearViz is a weather resistant, arm-mounted convex bicycle mirror that has been ergonomically designed with an adjustable armband to acquire a clear rear view when riding. Being mounted on the arm allows the user to engage the widest part of the body, which will allow the most rearward vision and perspectives. The multipurpose arm band and interchangeable RearViz base allow you to vary from their diverse product range and even adapt to their new Universal Camera Mount. Simply attach your GoPro or other compatible product and enjoy a 360 degree rotating accessory to capture those picture perfect moments. RearViz’s lightweight innovations are suited and desirable for almost any activity as their interchangeable, multipurpose products can set in seconds without the use of tools so you can get back to the fun stuff! Look forward and see behind! View their unique product range and visit www.rearviz.com to purchase your own RearViz today. Further enhancements will be rolled out in the near future, so stay tuned for more exciting features and products.